Seguici su Instagram, Twitter & Facebook! The Italian Tables, devoted to speaking Italian in a relaxed setting, and featuring short presentations by native Italian speakers about their personal and professional experience (for example, university life in Italy; cultural differences between Italian cities and regions; becoming a lawyer, manager, doctor in Italy etc). Conferences: for example, a lecture on “Images of Italy at the End of the Millennium” on Italy in American films; a conference on “Images of the Italian-American Experience” in the context of Settimana italo-americana (Italian American week) a national week-long event, involving prestigious universities all over the USA; and most recently, a premiere of The History Channel production “The Unholy Battle for Rome,” a documentary on the German occupation of Rome during World War II, followed by comments by historians and an eye witness to the events. Trips to the Philadelphia Opera, as the ones to see “L’Italiana in Algeri” by Gioacchino Rossini, “La Traviata” by Verdi, “Cosi fan tutte” by Mozart, and “Il Trovatore” by Verdi. Click here to access the Opera Company of Philadelphia. Trips to the Philadelphia Museum of Art, such as guided tours of the Italian Medieval and Renaissance Rooms as well as of the special exhibit (such as the “Renaissance Ceramics, ” “Fifteenth-Century Florentine Drawings” and “Bronzino”). For more information on the Philadelphia museum of art exhibits, click here to access the Philadelphia Museum of Art. Welcome Back Dinner to promote awareness of the Italian culture including a talent show and a charity fund raiser. 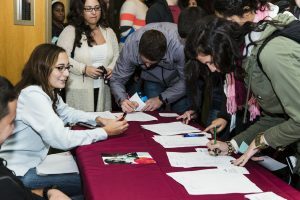 Career Fairs with guest speakers from various academic, business and government venues. The success of the Italian Club is due to the dedication of club officers and advisors, and the high quality of the activities organized as well as to good coordination, sharing of information and creative ideas! 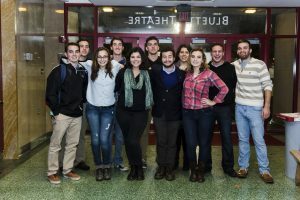 Many of our events and of the Italian program’s achievements were inspired by our students! Come and be a part of the experience!